With an exciting new Sgt Pepper package set for release, Getintothis’ Del Pike looks at what lies within. 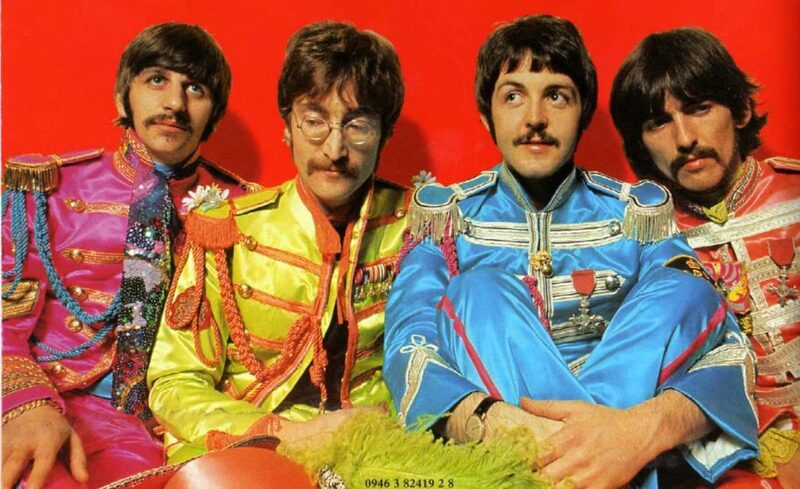 We probably don’t need to tell you this but just in case you’ve been walking round with an eye obscuring ket wig for the past few months, Sgt Pepper is 50 this year. Liverpool is celebrating the album in style with its mammoth City Council run programme of events; Sgt Pepper at 50, and Beatles fans in their millions will celebrate in their own way. EMI are helping in their own small fashion by re-releasing the album once more but with a treatment that no Beatles album has ever had before. Giles Martin, son of George, who was responsible for remastering tracks for the Love project and last years’ Eight Days a Week live album has been working alongside Sam Okell (2011 Grammy winner for remastering all the Beatles albums), to create the ultimate version of Sgt Pepper’s Lonely Hearts Club Band. The focal point of the release is a brand-new Stereo remaster / 5.1 Audio Surround package with a whole batch of previously unreleased versions of the album tracks. Fans can choose from a single CD of the remaster or a deluxe 2 CD set that includes the entire original sequence of tracks but different takes. The set is also available on 180g double vinyl. For those who cannot live without it, a 6-disc set will also be unleashed including more versions of all tracks than you can cope with and a DVD and Blu Ray featuring Audio content and 4K remastered promos of Penny Lane, Strawberry Fields Forever and A Day in the Life. A documentary that was broadcast in 1992, The Making of Sgt Pepper also gets its sell-through debut here. The bad news is there are no newly discovered songs, but there is an absolute wealth of alternative versions, remasters, demos and the like which will be getting their first official outing outside of the bootleg circuit. For those obsessed with packaging, each deluxe edition comes with a wealth of paraphernalia, including replicas of the original gatefold sleeve and cut out sheet. The Super deluxe 6-disc edition includes posters and a 144-page hardback book, but at over £100 this is one for super fans only. The Beatles have indulged their fans continually over the last couple of decades with remastered albums and projects including the Anthology albums and TV films, Love, BBC sessions and the 1 project, but this is only the Fourth album to get the makeover treatment (Yellow Submarine, Let it Be… Naked and Live at the Hollywood Bowl getting there first). This is by far the most ambitious release yet. We still wait in anticipation for an official release of the Let it Be movie, come on lads, Let it Be…released! All formats will be available on May 26, just predating the actual Anniversary on June 1, and prices vary in line with the size of your fandom. Also available is the entire George Harrison album collection on remastered vinyl and a 5-disc deluxe edition of Paul McCartney’s brilliant Flowers in the Dirt album (1989) including a collection of unreleased collaborations with Elvis Costello. It’s party time for Beatles fans with a bit of extra cash.